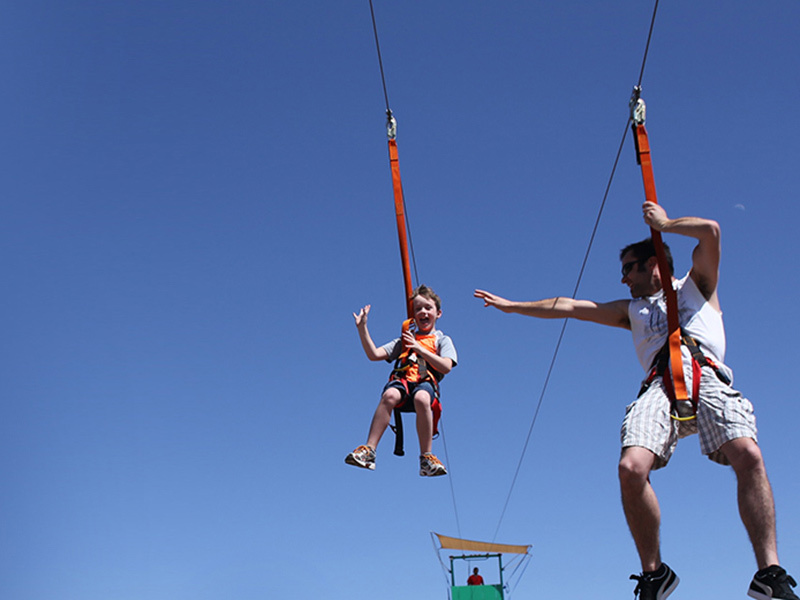 The Skyfall mobile zip line hire is the UKs first, go anywhere zip wire attraction. 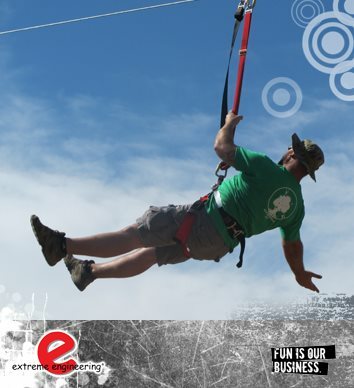 The perfect creative event idea, Skyfall zip line gives you the opportunity to challenge yourself, conquer your fears and experience the thrill of riding a zip wire. 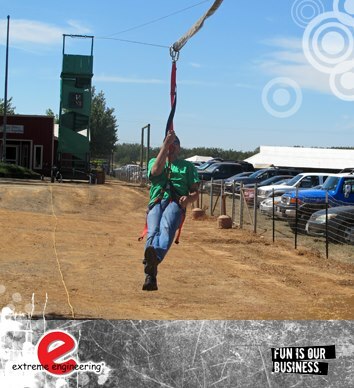 Zip lines look fun, and your next creative event could have it with double the fun. 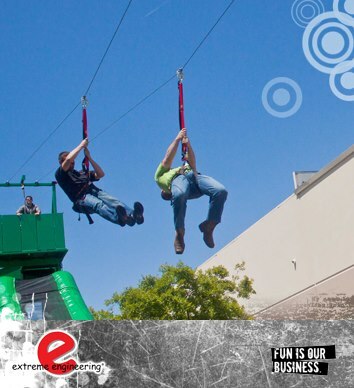 Two mobile zip lines can run together so your event party guests ride the wire with a someone alongside them. There’s also a 21ft inflatable slide that can be attached to the zip line to add extra fun to your next creative event! Imagine how your event will look with guests feeling the sensation of riding on up to 220 feet of mobile zip line at 21 miles per hour. It’s amazing what happens to even the quietest of people when they ride the zip line. You will have the crowds buzzing with excitement, putting the wow factor into your event! Riders never come close to touching the ground at the end of the experience. The operator always lowers them to the ground. 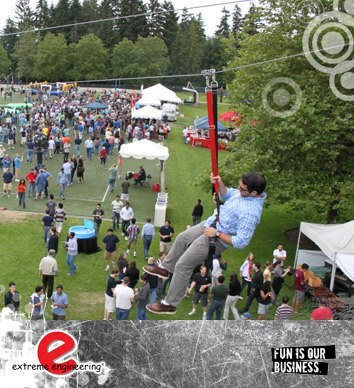 Bring the Skyfall mobile zip line to your event and delight your crowd. 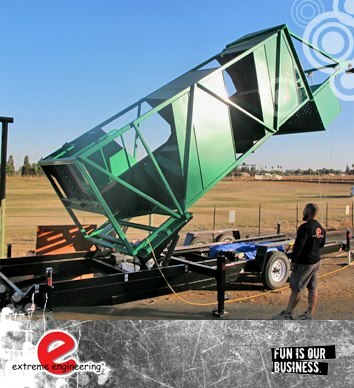 It only takes 1 hour to erect and can be set up on almost any terrain. 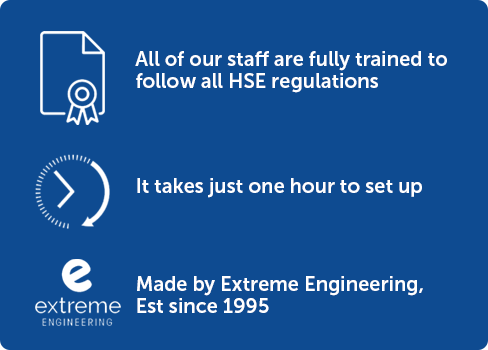 The zip line is safe and have the peace of mind that all our staff are trained to follow Health and Safety Executive guidelines. 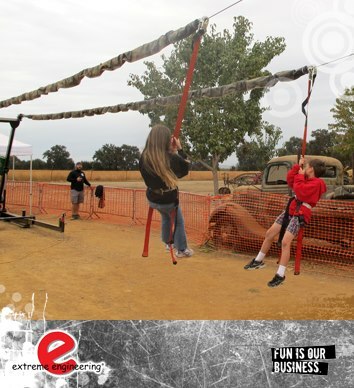 For larger venues , whether indoor or outdoor, the mobile zip line is guaranteed to pull in the crowds and create a spectacle for onlookers , As a result increasing their time spent at your venue.